adidas launches the first versions of its ACE and X boots created explicitly for female players around the world. Both boots have been engineered to specifically fit the female foot by featuring a totally unique combination of shape, design and traction. Using all its technical expertise and key insights provided by numerous female players, adidas was able to analyse the unique shape of the female foot. The results showed that there is typically a lower in-step and narrower foot bend, which meant creating new outsole tooling. In addition, both boots have shorter and smaller studs, as well as unique stud positioning. The height and diameter of the studs are designed to aid both rotational and linear traction for female athletes. 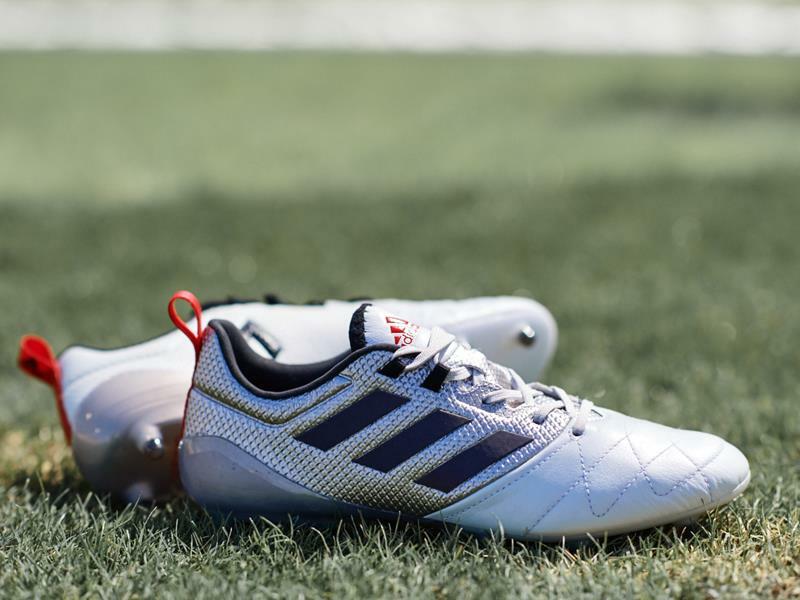 Players such as Becky Sauerbrunn and Morgan Brian will wear the new ACE boot, while the X version will be worn by the likes of Lindsey Horan, Emily Sonnett and Danielle Colaprico. Becky Sauerbrunn, U.S. Soccer Women's National Team Captain and 2015 World Cup Champion said: "In soccer, female athletes across the world wear shoes that are not meant for us, our feet, or our game. Today, thanks to adidas' constant drive to innovate and empower women, we finally have access to the first ever cleat for female players. The new ACE and X boots are a revolution to the women's game, a trailblazing step I'm honored to showcase on the field." The silhouette and collar height have also been lowered based on the anatomical needs of the female player. The X and ACE will both be available in a metallic shimmer colourway.